Dewar's White Label (40.0%): So, let's start the blend project of the summer I was talking about earlier on the blog. I don't know how many I will manage to try but I am hoping to come up with a list of my favorite bottom shelf blends. The plan is learning enough about the entry level blended scotch whiskies to be able to order one right away after taking a short glimpse at the shelves of any bar around the world. 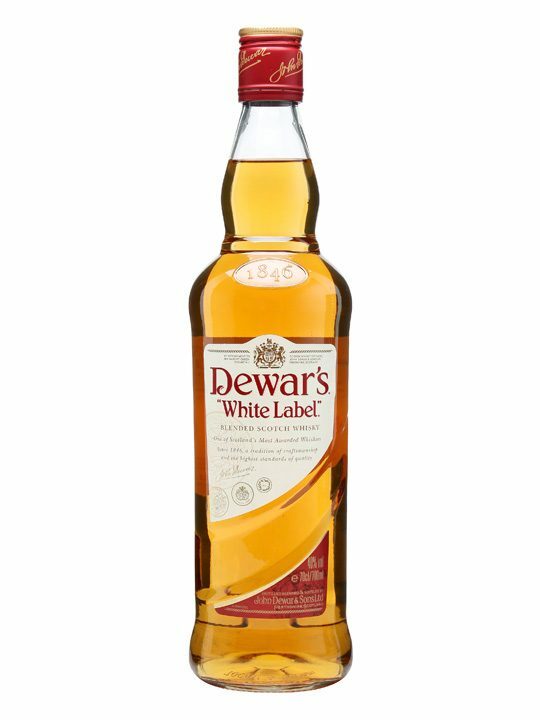 So, let's get it started with a classic: Dewar's White Label. It is the entry level blend of Dewar's. Especially in US you can probably find this dram almost in every bar. A bottle costs around $25-$30 in retail stores. Color: Nice, light and clear amber with surprisingly visible legs. Nose: Very young grain whisky notes jump out of the glass right into your nose. Not in a good way, almost like a citrus flavored vodka. After airing it a few minutes it settles a little and allows me to nose other stuff. Lemon juice and apricot scented hand lotion. Very thin flower honey, maybe corn syrup and peach sorbet. Adding water made it smell like lemon fresh Formula 409! Palate: Hmm, didn't expect this creamy mouthfeel. Explains the legs around the glass. Still getting the harshness of young grain whisky though. Lemon zest, honey, underripe donut peaches and pine needles. I have to say the palate is much better than the nose. Adding water made it thin and kind of unpleasant. Finish: Medium long with very faint black pepper notes. Overall: Not my kind of a nose but the palate evened it out a little in the course of tasting. It misses something to make it memorable, something edgy. It's too flat... Since it is my first dram in the project I have nothing to compare it with and right now I don't see it making my top five but I am pretty sure I wouldn't say no to it when offered (I think). I might refer it to in later reviews.